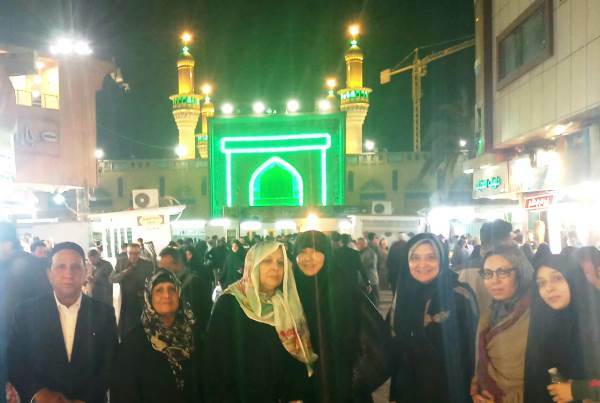 I was recently invited to a trip to Iran and Iraq by a group of close friends from Lahore, and as I had never been to these states before, I decided to take the opportunity to visit the shrines frequented mostly by Shia pilgrims. After all, how else was I going to be able to travel through war-torn Iraq (where the Islamic State has only recently been defeated) and gain access to the heavily sanctioned country of Iran? 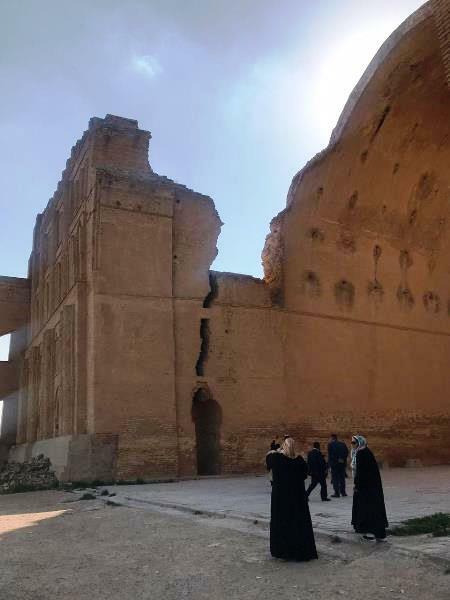 Mesopotamia – the cradle of civilisation and home to many Imams of the Islamic world – has been off-limits to most ordinary tourists since the days of Saddam Hussein. We took off from Lahore and a few hours later found ourselves landing in Baghdad, the famed city of The Arabian Nights. The airport was small and run-down, and we had to wait for at least two to three hours for our group visa to be cleared. We waited patiently and entered Baghdad at dusk; there were palm trees galore and the roads were smooth enough. Our excitement was mounting as we headed straight for the illuminating shrine of Ghous Pak (Sheikh Abdul Qadir Jilani). We paid our respects at the beautifully lit white shrine, ate the delicious langar (communal meal) of rice and chicken (provided by a Pakistani family from Faisalabad) and then headed to our hotel. We felt more than welcomed to a city founded on the west bank of the Tigris in 762AD by the Abbasid dynasty. 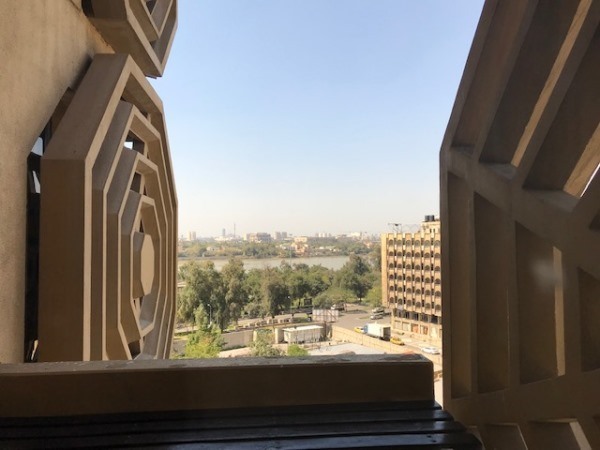 We stayed at Hotel Palestine, which is located near the ancient Tigris River, with a colourful history of its own; it was a favourite among foreign journalists during the Gulf wars and had been shelled! 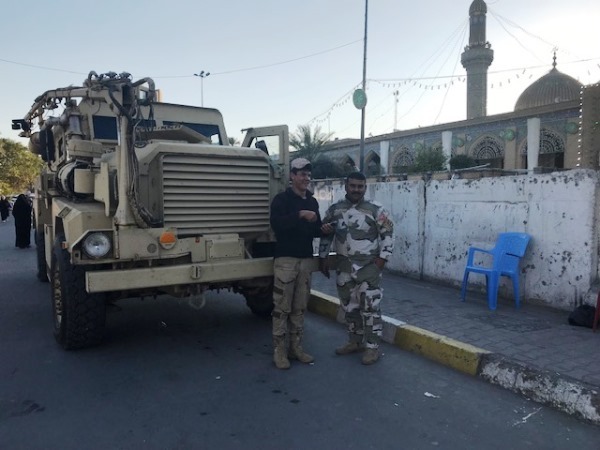 There are roadblocks all over Iraq and paramilitary forces with armoured vehicles can be seen on all major roundabouts. The receptionist at our hotel smiled and clapped joyfully when she discovered we were Pakistani and gave us comfortable rooms (our recent military standoff seems to have made them happy). 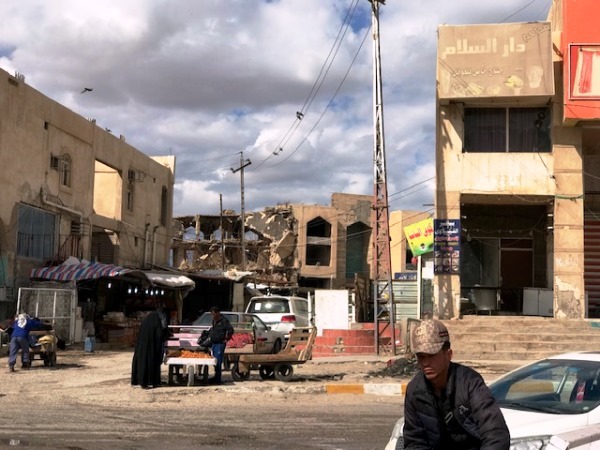 Baghdad looks like it is stuck in an 80’s time warp – the buildings all seem to be from that era. However, most of the debris from the bombed-out infrastructure has been removed. We found it to be a bustling city with crowded restaurants and bad traffic jams. We crossed the Tigris River many times, the last one being to visit the shrine of Persian mystic Mansur al Hallaj. He is known for his saying, “I am the Truth”, which many saw as a claim to divinity resulting in his execution, while others saw it as an instance of annihilation of the ego. We also visited the burial place of Abu Hanifa, the founder of the Hanafi school of Sunni jurisprudence. 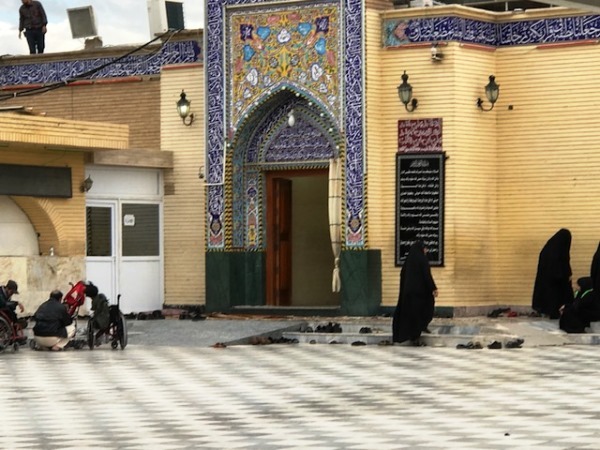 However, the highlight of our Baghdad stay was the visit to the north of the city to Kazmain, where Imams Musa al Kazim (AS) and Muhammad al Jawad (AS), both direct descendants of the Prophet (PBUH), are buried. This is a world famous shrine and one of the most important mosques in the Islamic world, with a huge gilded dome and four minarets rising above its courtyard, all covered with gold, Kufic inscriptions. 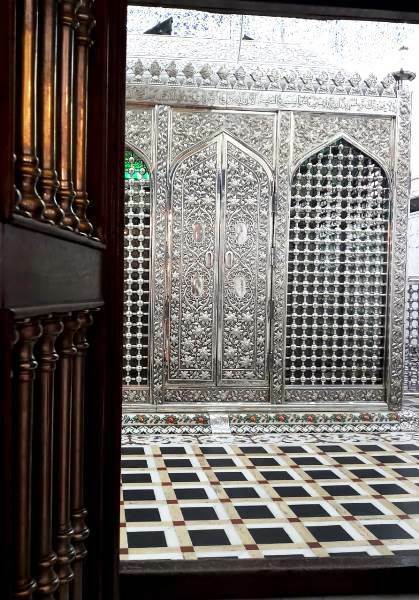 There are canopied balconies, mirror mosaics, glazed tiles, and endless floors of marble. 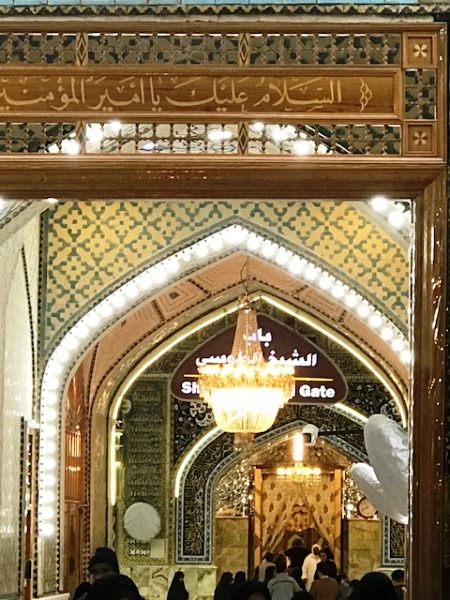 The final resting places of all the Imams buried in Iraq, we were to discover, were equally awe-inspiring. The shrine was very crowded during our visit and there was a long walk to it as it has been bombed in the past, which is why the nearby streets had been cordoned off. 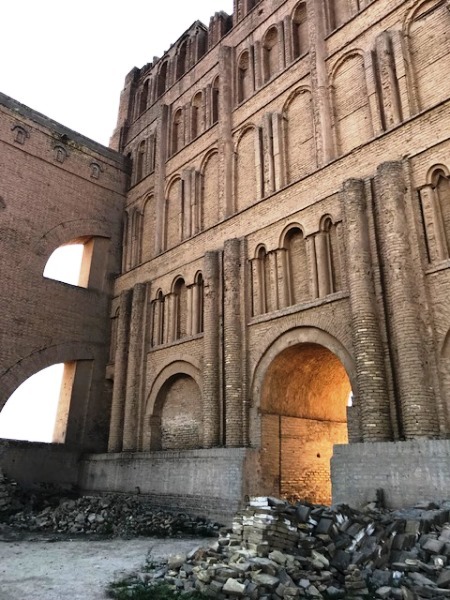 The other highlight of our Baghdad visit was to the 2,000-year-old Persian monument Taq Kasra, or Arch of Ctesiphon, the world’s largest brick vault. Somehow it has survived all the recent wars and is truly a sight to see, given its immense scale and elegance. 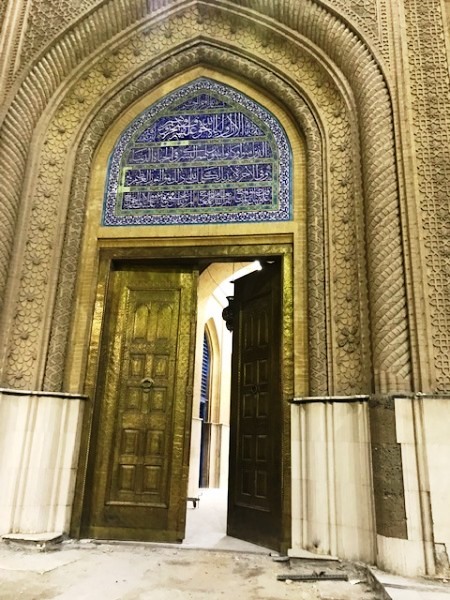 Taq Kasra is located near the shrine of Salman al Farsi (RA), a companion of the Prophet Muhammad (PBUH) and the first Persian to convert to Islam. 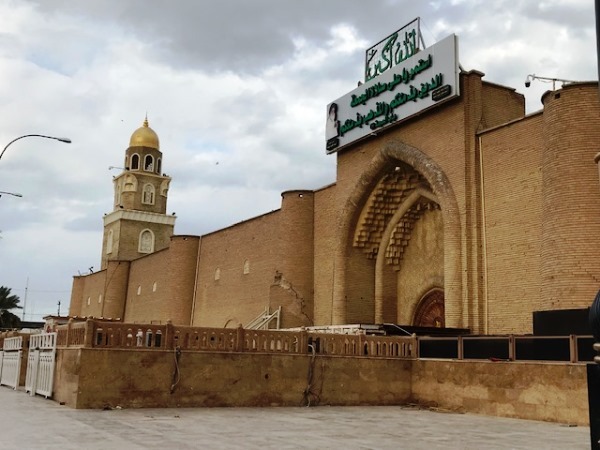 On our last day in Baghdad, we headed to the ancient town of Samarra to visit the 10th and 11th Imams, Ali al Hadi (AS) and his son Hasan al Askari (AS). Both are buried in a heavily-guarded shrine, which has been bombed twice in recent years and had to be rebuilt. 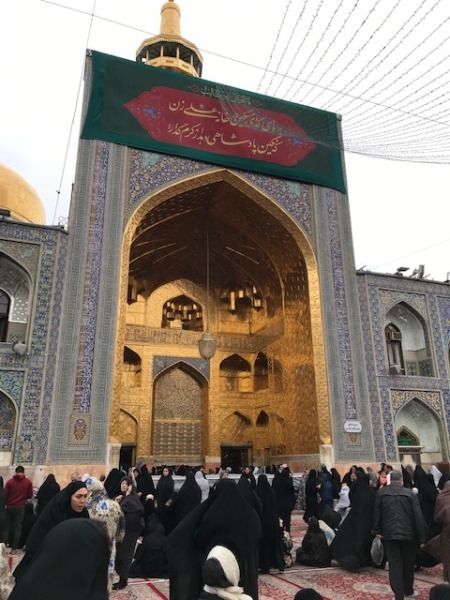 Adjacent to the mosque is another domed building built over the cistern where the 12th Imam, Muhammad al Mahdi (AS), disappeared; hence the title of the Mahdi, the Hidden Imam. 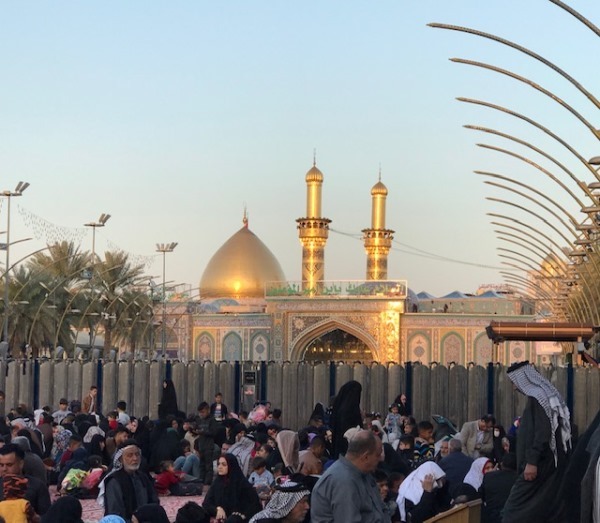 We were sorry to leave Baghdad – there was much to see and such little time – but we had to move on to Karbala, where rain greeted us. 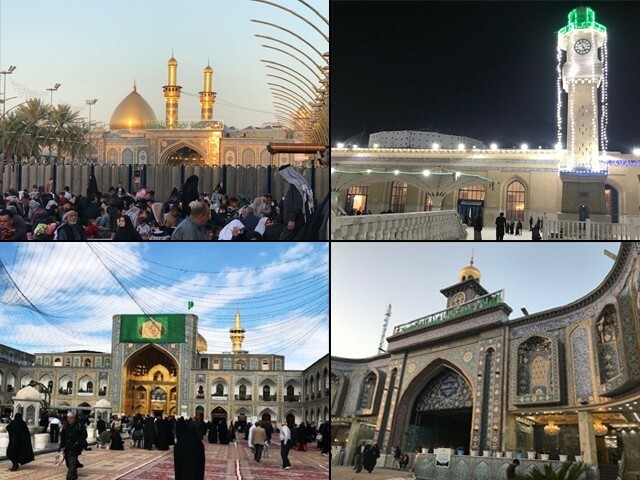 Powerful energy emanates from this city, the burial place of Imam Hussain (RA), the grandson of Prophet Muhammad (PBUH), near the place where he was martyred during the Battle of Karbala in 680AD. 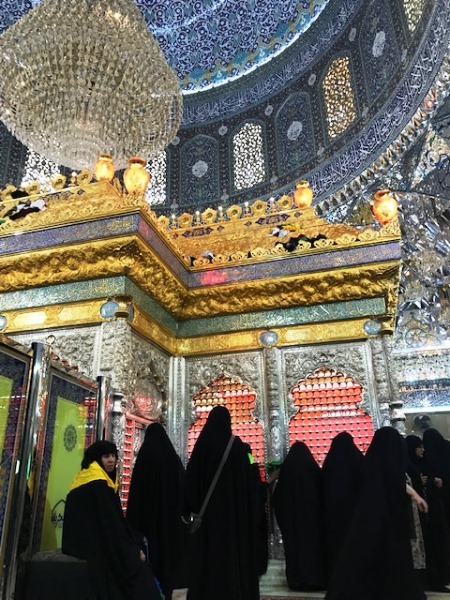 Within the shrine of Imam Hussain (RA), we found the mass grave of all 72 martyrs of Karbala who fought and died alongside him, despite the heavy odds they faced. 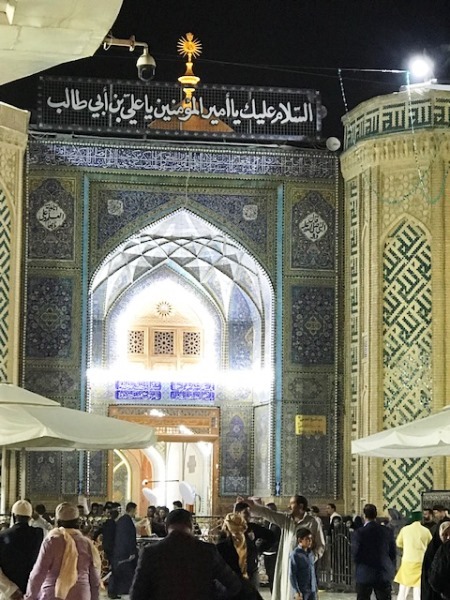 We soon joined the thousands of people jostling to enter the Ziyarat. 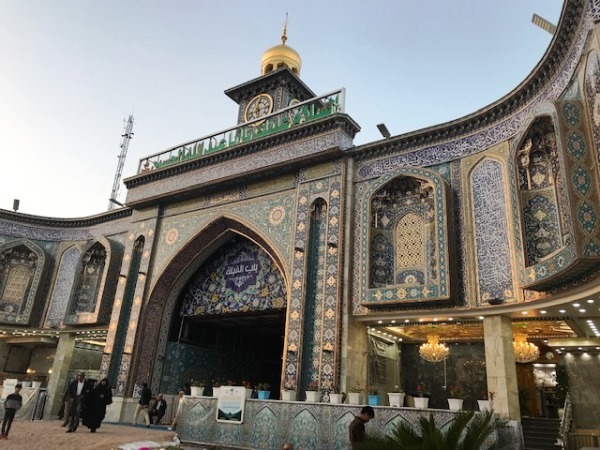 Opposite is the shrine of his brother, Hazrat Abbas (AS), who was also martyred during the Battle of Karbala by Yazid’s men while bringing some water from the Euphrates River for the Prophet’s (PBUH) family. There is a lovely walkway lined with palm trees between the two shrines, and we often went there to sit and pray as our hotel was nearby. 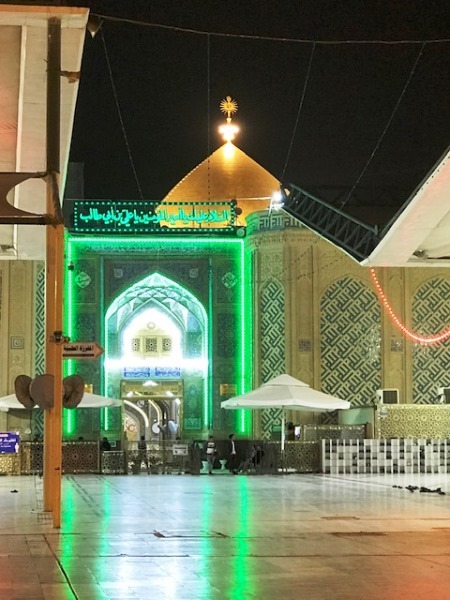 Our next stop was Najaf, and luckily our hotel was located right next to my favourite Ziyarat: Imam Ali’s (RA) resplendent shrine. He is considered the father of Sufism, as almost all Sufi orders claim their descent from him. 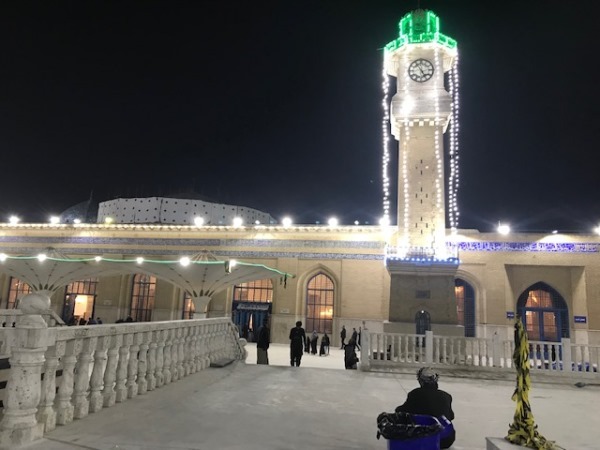 After visiting his peaceful shrine, we went to Kufa to see the great mosque, one of the oldest in the world, where Hazrat Ali (RA) was struck by a poisoned sword and passed away after two days. 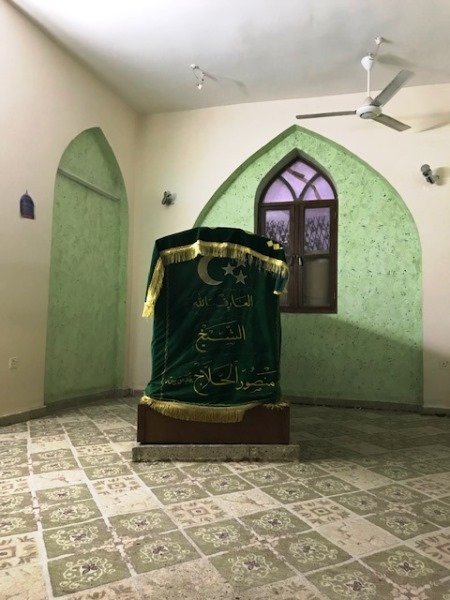 We visited his simple but elegant house next to the mosque (thankfully preserved by the Iraqi government) where his body was washed before being buried in secret. Imam Ali (RA) had earlier dug a well in his house and even today one can drink its healing waters. 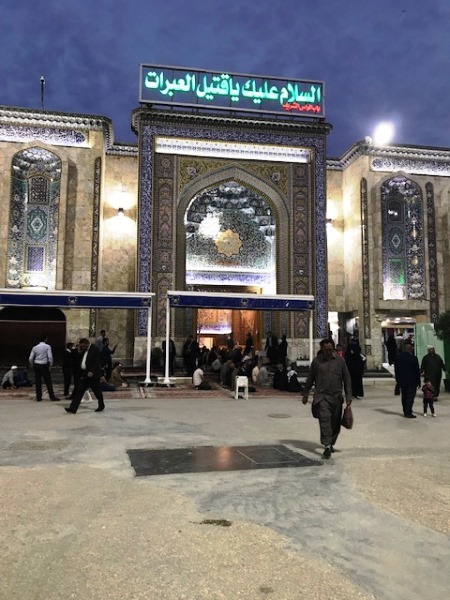 Our final stop was the city of Mashad in Iran, home of the eighth Imam, Hazrat Ali Reza (AS), whose shrine is really the heart of the city – all roads lead to his Ziyarat! 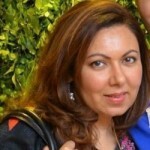 We took a short flight from Najaf to Mashad, which is the second most populous city in Iran. 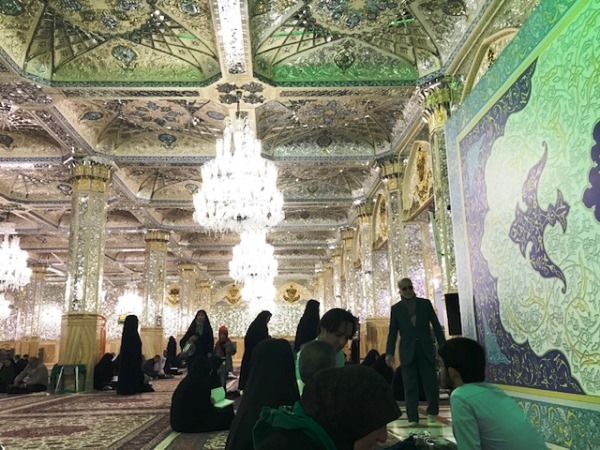 Mashad means the place of martyrdom; Imam Reza (AS) was poisoned by Caliph al Ma’mun. A fact I learned during my journey is that none of the Imams lived to an old age – all were poisoned or assassinated. 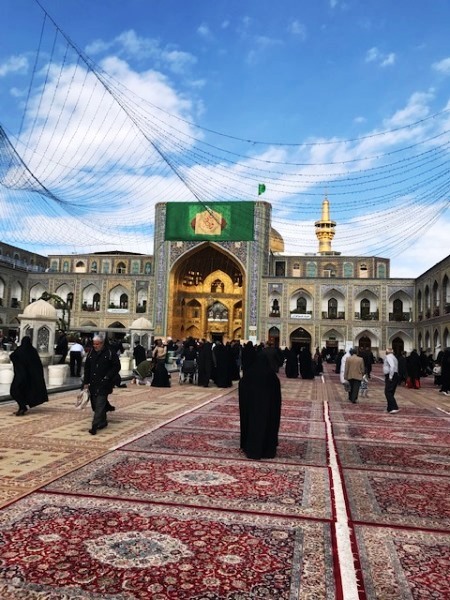 Imam Reza’s (AS) ornate shrine is enormous, with its many courtyards and mosques, and is considered the Vatican of Iran, run in an efficient and orderly manner. 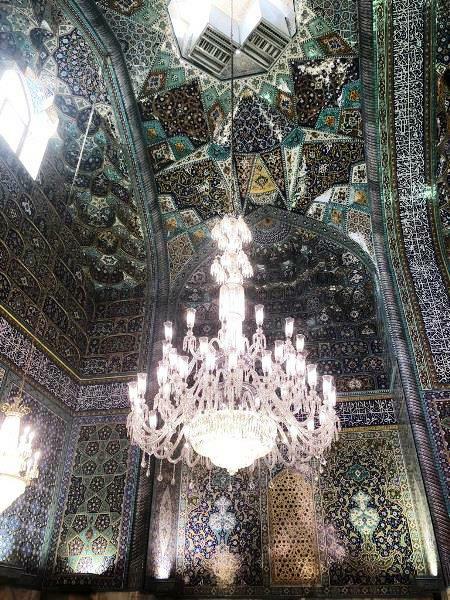 It is also gorgeous, with its Persian carpets and crystal chandeliers galore. We were lucky enough to eat from the shrine’s famous langar and enjoyed the Imam’s hospitality! 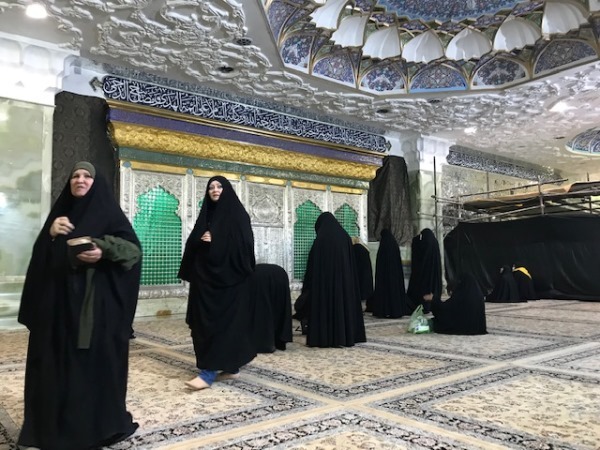 Mashad is a clean, modern city, and feels like it could be anywhere in Europe, except all the women wear long black chadors.